We’ve been watching a new show on the Food Network. I know I’ve mentioned before that we watch some of their programs. It’s been more or less been by default lately. There aren’t a lot of family friendly shows out there that will entertain all of us, and let’s face their programing lately has left a lot to be desired. We’ve watched the Next Food Network Star for a number of seasons, but we haven’t liked the winners, until now. The show we started watching is the Sandwich King. Now, granted there have only been 2 episodes, but it isn’t bad. It isn’t great, but the concept is something I can get behind. Remember my Panini press? Plus, the guy is from Chicago. The first episode was about Italian Beef sandwiches. It’s a sandwich that is much loved in these parts and is cause for as much debate as pizza. What I love about this sandwich is that, although it’s not as great as getting a beef sandwich from your favorite beef stand, it does come in a very close second. If I had a commercial grade meat slicer tucked away somewhere, I would probably reevaluate my opinion. Really it’s that good, plus the smells coming out of the kitchen are intense. 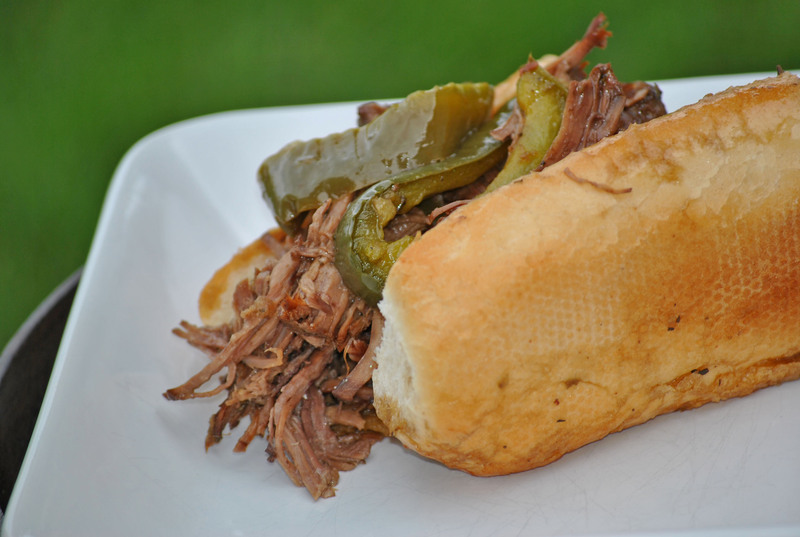 I’ve made Italian beef in the crock pot before, but I loved the braising of the meat. It gave it a great crisp, plus the flavor of the jus was out of this world. Oh, and did I mention that Meeshie loved the sandwich? She’s on a kick lately that involves dissecting any sandwich she eats. She has a plan, insides first and then maybe she’ll eat the bun. I don’t like it, but I tolerate it. This sandwich, though, was eaten in its entirety, and as presented. I was more than happy. Oh, and I would have made the Giardiniera, but I had a vat of it from one of our trips to Costco. Next time. We like it hot and sweet with cheese. You can add cheese to the sandwich, such as provolone or mozzarella. Preheat the oven to 300 degrees F and position a rack in the middle position. Liberally sprinkle the entire roast with salt and pepper. Heat the oil in a dutch oven over medium-high heat. Brown the roast on all sides until golden and caramelized; reduce the heat if the fat begins to smoke. Transfer the roast to a plate and reduce the heat to medium. Add in onions and saute, stirring occasionally until just beginning to brown, 8 to 10 minutes. Add the Italian seasoning and crushed red pepper and saute until fragrant. Add the garlic and saute until fragrant, about 30 seconds. Deglaze with the red wine and cook until the alcohol smell is diminished, about 3-5 minutes. Add in the beef broth and thyme, bring to a simmer. Adjust the seasoning of the jus. Place the roast back into the pot, with any accumulated juices, cover and place in the oven. Cook the roast, turning every 30 minutes, until very tender, 2 to 4 hours. Transfer the roast to a cutting board and tent with foil. Strain the jus through a fine mesh strainer into a bowl and return back to the pot. If you feel there isn’t enough jus, add another can of beef broth and adjust the seasoning. Bring to a simmer and adjust the seasoning if necessary. Once cooled a bit, pull the meat into smaller chunks and reserve for the sandwiches. For the sweet peppers: Toss the pepper strips with the oil, granulated garlic and salt and pepper on a baking sheet. Bake, stirring halfway through, until lighter in color and soft, about 20-30 minutes. Simmer the jus until very flavorful and hot. 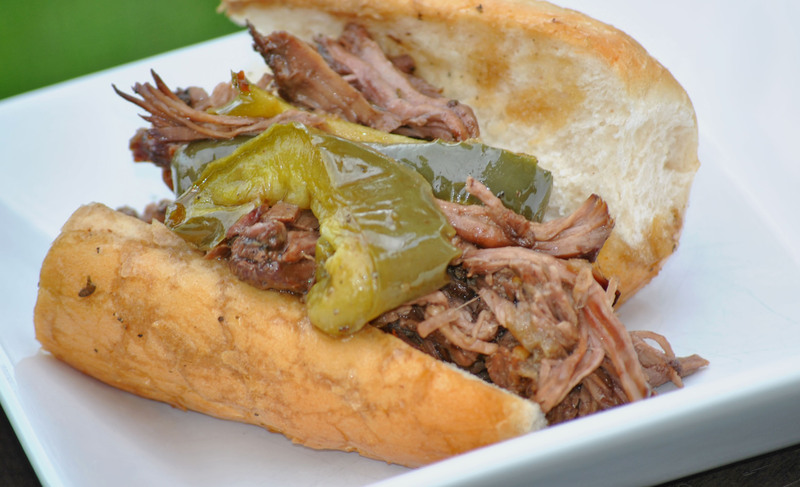 Place some beef on a roll, then some sweet peppers and then some Homemade Hot Giardiniera. Take the whole sandwich and quickly dunk in hot jus. We love lettuce wraps and I’ve been waiting to try a side for the wraps. Since I make the wraps at least once a month, I was just waiting for the opportunity to present itself. This past I was. I’m not sure how I stumbled upon this recipe, but I’m so glad that I did. This side dish is so simple. I mean when I looked at the ingredients I thought, no way could it be as good as the comments let on. I was wrong. It is that good. What I really liked about the dish, other than the simplicity, is that everyone loved it. 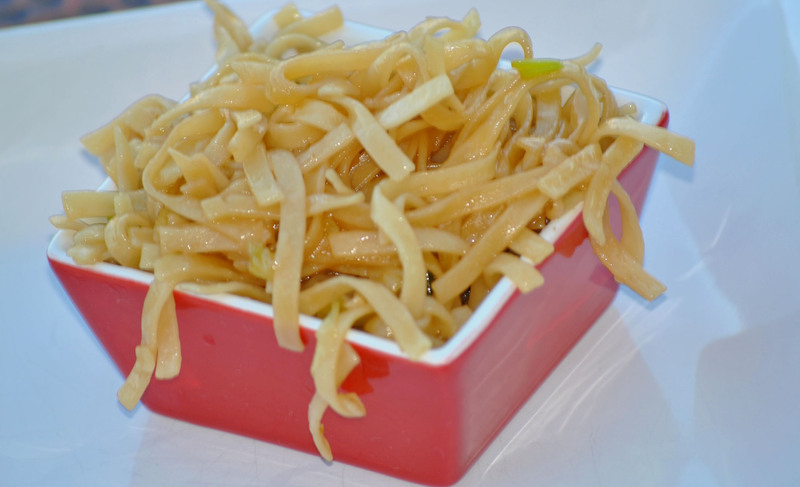 I say that because Meeshie is funny about noodles. Sometimes she likes them and sometimes she doesn’t. She runs hot and cold that way, and not always for the same dish. She is happiest when you serve her a plain buttered noodle with freshly grated parmesan cheese. Maybe that’s why she likes these, they aren’t overly sauced. The sweetness from the brown sugar and the fresh garlic really balance each other out. 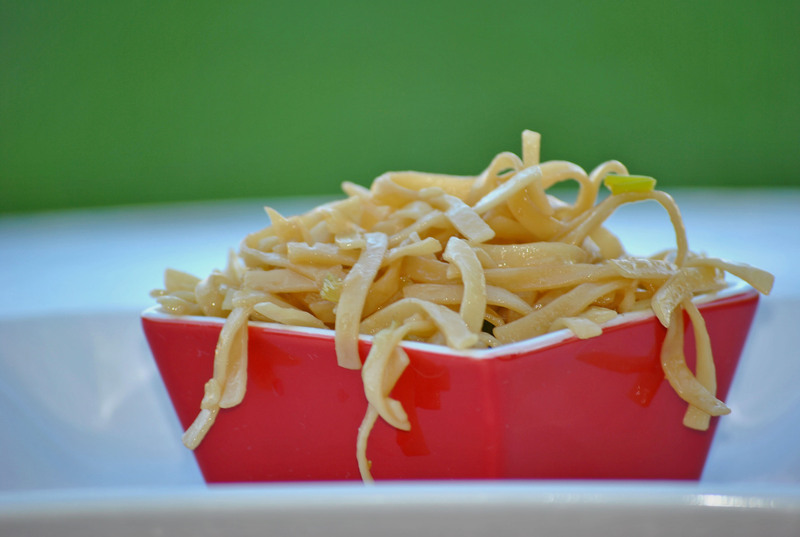 Plus the green onion gives the noodles a slight crunch. Not only was it a perfect pairing with the lettuce wraps, but it would be great to have with pork chops, meatloaf, or the honey-soy chicken. Plus, who doesn’t love a one pan dish? Bring a large pot of water to a boil and cook the noodles according to the package instructions. Drain noodles and wipe the pot clean. Return the pot to medium-high heat and add the butter. When the butter is sizzling and bubbling a bit, add the green onion and the garlic. Fry for one minute or until very fragrant; be careful not to let the garlic burn. In a small bowl, add the brown sugar, soy sauce and oyster sauce and stir well to mix everything evenly. Add to the pan and then add the noodles. Toss to get the sauce evenly distributed throughout the noodles. Makes 4 generous servings, which is fine because everyone had seconds. School started today. Last week was the walk through, but today was the day. Meeshie’s been so nervous. As a fourth grader, she has a new school, three new teachers and a start time that has me shaking my head. School starts at 7:30 am. That’s earlier than the junior high school and the high school. This is the first year for this start time. The school board claims this will save us money some how with the buses. I have my doubts, but then I’m sceptical about a lot of things. I thought making this blueberry bread with her would distract her for a little bit. Meeshie loves blueberries and since I’ve been making the zucchini blueberry bread for so long, I thought I would make this. Oh, it doesn’t help that I haven’t gotten any zucchini from the garden this year, either. She had fun helping me get everything together, especially the topping. Who doesn’t love a great crumble topping? 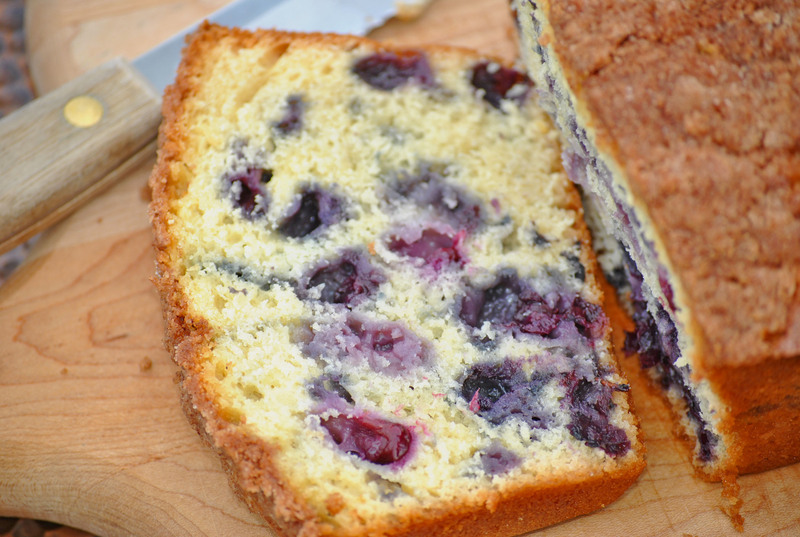 This bread makes awesome blueberry muffins. I love making them in those Texas muffin tins. I’ve also made this with apple sauce in the batter instead of the butter, and you cannot tell the difference. This recipe is unique with the boiling water and the orange juice. There is a slight tang from the orange juice, but it’s one of those tastes that you can’t quite put your finger one. In other words, the orange juice really brings out the flavor the blueberries. I put the batter in one large bread pan, but it can also make two medium-sized loves. It’s perfect for a school snack or an out the door breakfast. Place the boiling water in a bowl and add the butter, stirring until melted. In a large bowl, add the orange juice, eggs, and sugar, mix will. Add the water/butter mixture. Coat the blueberries with 2 T of the flour. In a medium bowl, combine the remaining flour, baking powder, baking soda and salt. Stir the flour mixture into the wet. Mix until combined, the batter will resemble the consistency of pancake batter. 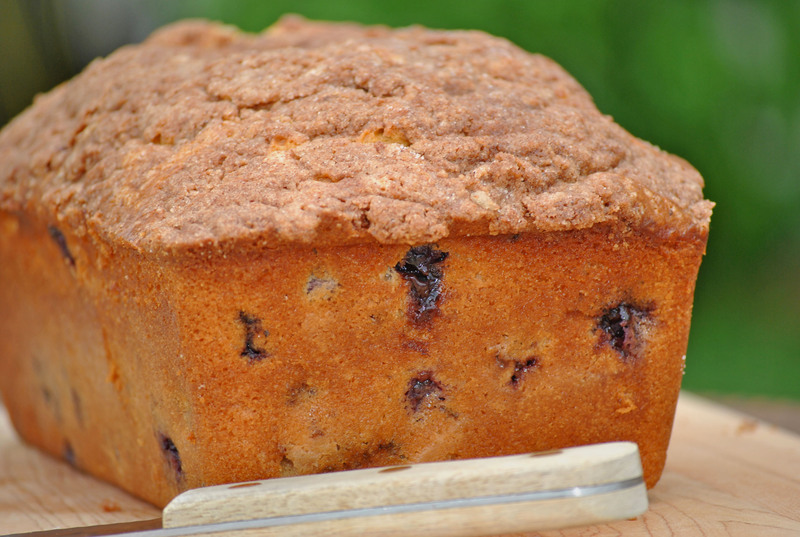 Fold in the coated blueberries and pour into a greased bread pan. For the topping, combine the sugar, flour and cinnamon. Cut the butter into small pieces and cut into the flour mixture until crumbly. Sprinkle on top of the blueberry batter. Bake in a preheated 325 degrees oven for an hour. Cool for 10 minutes before removing from the pan. Meeshie had a friend sleepover last night. I wanted her to enjoy the last few days of summer vacation and thought that a sleepover was in order, so I took the day off of work. When I was her age, I loved sleepovers. It didn’t matter to me if the sleepover was at someone else’s house or if I was the host. A sleepover was a great way to spend time with a friend or friends. On summer nights we were usually lucky enough to spend the sleepover outside in the pop-up on the driveway. 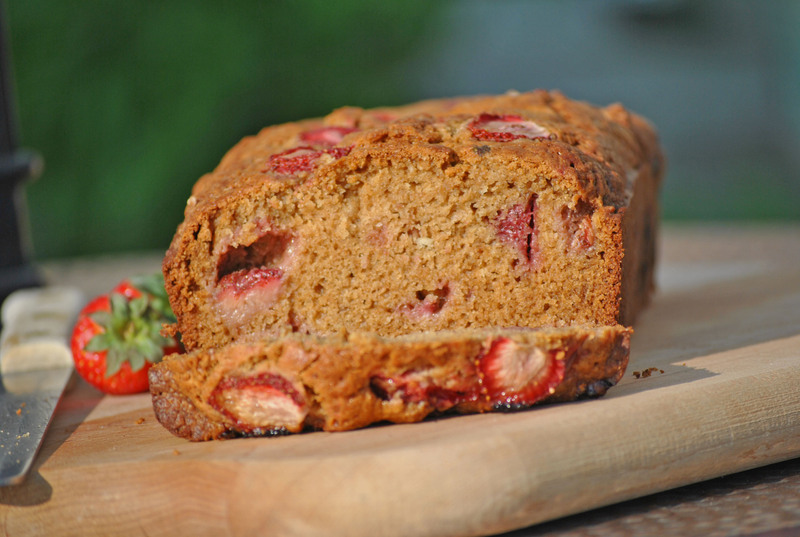 While the girls were still sleeping I made this great strawberry bread. It was the use of the brown butter that drew me in. That and the fact that it’s Joy the Baker. I usually don’t have a lot of strawberries in the house, but we bought a large container of them at our last trip to Costco. I altered the recipe slightly by eliminating the bananas, not because I didn’t have any but, because I just felt like making this without them. I also used a strawberry yogurt because I always seem to have that on hand for smoothies. Once the girls woke up, I got everything ready for them to enjoy the bread. They, of course, had other plans and opted for mini chocolate chip pancakes from Market Day. Meeshie was very specific, please don’t make the pancakes this morning mom. Just get the little ones out with the chocolate chips. She’s since had the bread and loves it, but still. I was heart-broken. Wouldn’t you like to wake up to a house smelling like fresh baked bread? And having it served to you warm with some butter melting on it? Melt butter in a saucepan over medium heat. When the crackling subsides, the butter will begin to brown ,swirl the pan as the butter cooks. When the butter browns and begins to smell nutty, remove the pan from the flame and transfer the butter to a small bowl ,taking the butter out of the hot saucepan will stop the butter from overcooking and burning. Set aside to cool. In a medium bowl, whisk together eggs, vanilla extract, and yogurt or buttermilk. When butter has cooled, whisk in the browned butter. Add the wet ingredients, all at once to the dry ingredients. Fold together, making sure to scrape the bottom of the bowl to reveal any hidden pockets of flour. Fold in the diced strawberries. Fold together ingredients, but try not to over stir. Spoon batter into prepared pan and top with thinly sliced strawberries. Bake for 50 minutes to 1 hour, or until a skewer inserted into the center of the loaf comes out clean. Remove from the oven and allow to rest in the pan for 15 minutes, before inverting onto a wire rack to cool completely. We’ve had a crazy few weeks around here. Vader, our black pug, has been in a lot of pain. Have you ever heard a dog screech? It’s heart breaking. The poor dog has been drugged, examined and drugged some more. We even sent him to a chiropractor. We carried him everywhere. It turns out he had a bulging disk in his neck and he had surgery last week. The vet actually fixed three disks total and he seems to be more himself. To celebrate his homecoming I pulled out a recipe that I haven’t made in years. My brother asked me for the recipe months ago and I talked about it with a girlfriend, so it’s been rattling around my brain for a while. I just needed a good excuse to make it. What better excuse than Vader? 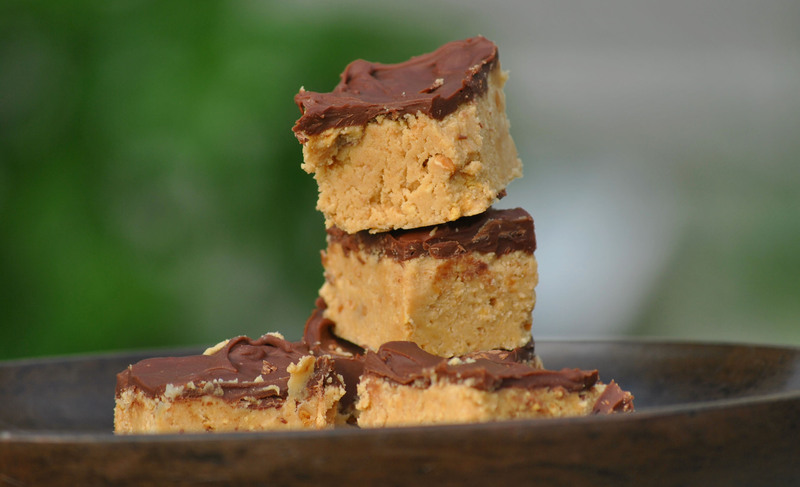 This makes a large pan of a treat that is reminiscent of a Reese’s Peanut Butter Cup. It’s really easy to make, but rich and not the healthiest of treats. Don’t worry, I’m not sharing these squares with the dog, but my husband wants to take Vader to get a hamburger once he’s feeling better. The only problem I see with this treat is that I need to ration it. My husband loves these and so does Meeshie, but then we are big fans of Reese’s Peanut Butter Cups. I brought some to work and they were gone in seconds. 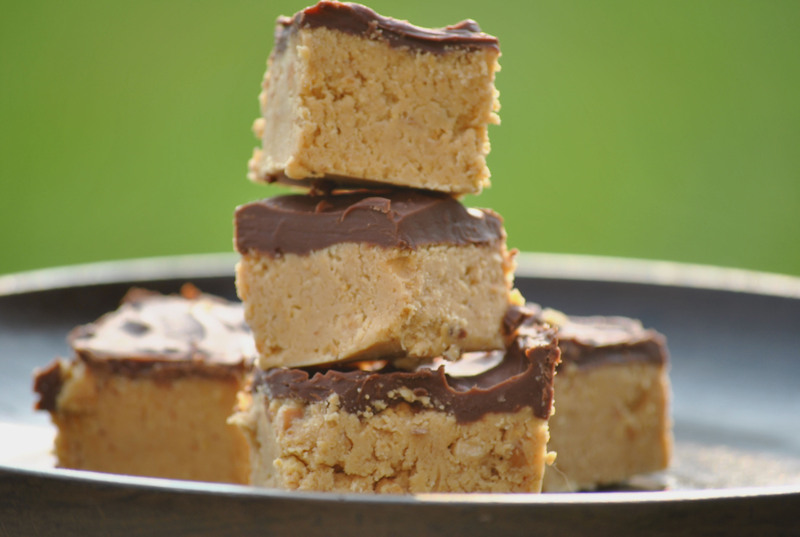 Combine the sugar, graham crackers, butter and peanut butter well and press in to a 9×13 pan. Break up the Hershey bars on top of the peanut butter mixture and place in a warm oven (325 degrees) until melted, or place the chocolate in a microwave safe bowl, melt the chocolate in the microwave and spread on top of the peanut butter mixture. Cut into one-inch squares and then let the chocolate set (it’s easier to cut this way). I keep it in the fridge until it has set. Summer is winding down here, not weather wise, but in less than two weeks Meeshie goes back to school. In our small town, fourth grade means another school. Kindergarten is one school, first through third is another, fourth through sixth is another, then seventh and eighth, and finally high school. When I was a girl it was kindergarten through sixth, then junior high and finally high school. So basically, once she’s gotten into a groove with the school, she has to change and start over. It’s giving her some anxiety. In fourth grade, Meeshie will have four teachers and switch classes and she’s really worried about the homework. I told her to just sit back enjoy the rest of her summer, finish reading her book and takes things as they come. Hysterical advice from me, who never takes things as they come, plans out everything and drives myself crazy with worry. But I can dream that my daughter will do better than me, right? So as a celebration of the end of summer (and this heat), we’ve been spending some time by the pool. Not our kiddie pool, but at some great pools of great friends. This past weekend we spent time at a great friend’s house who has been so kind in helping me with Meeshie this summer. I decided I wanted to celebrate the end of the season, and my friend, with a great and easy dessert. I’ve been making this dessert forever, and we’ve always called it a torte. I think I was about Meeshie’s age when I first had it. I don’t remember where my mom found this, but I’m glad she did. 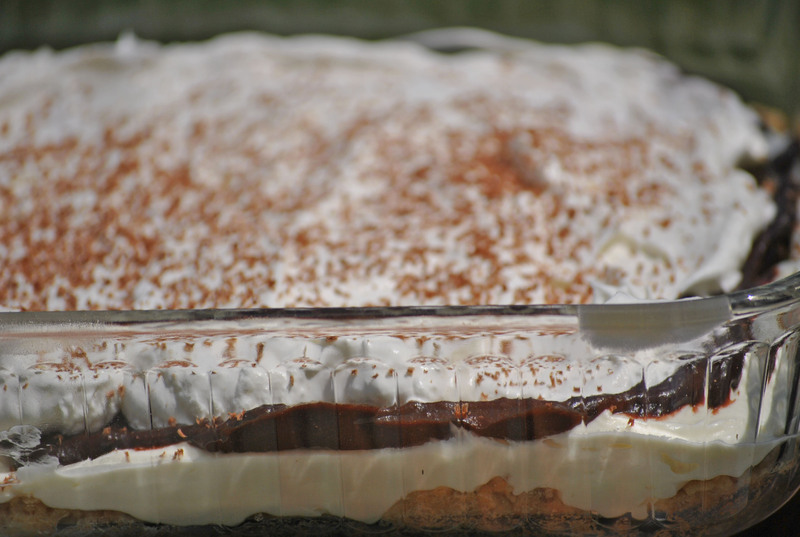 It’s a light dessert that’s easy and can be made a million different ways. The not so secret ingredient is pudding, and that’s what makes it so versatile. Think of your favorite pudding: butterscotch, chocolate, vanilla, coconut, banana, lemon, pistachio. 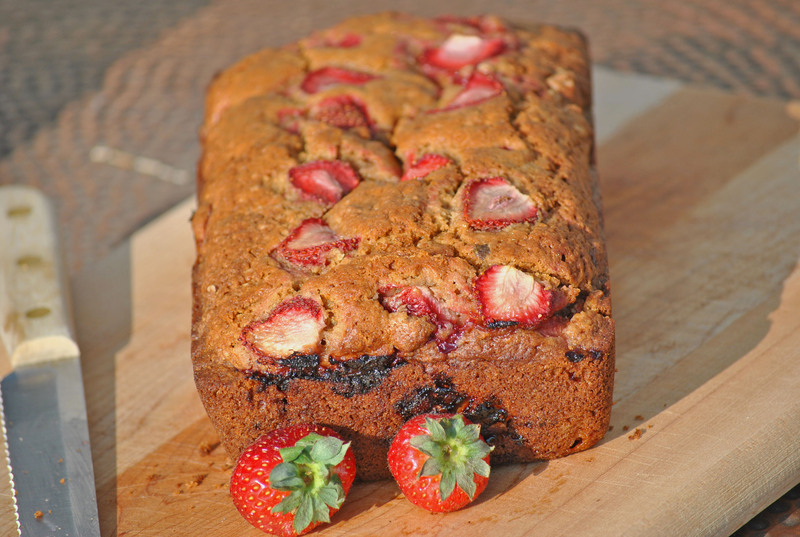 Now think of a garnish: nuts, toasted coconut, strawberries, cherries, blueberries, chocolate, bananas. Keep the flavors together or mix them up (black forest or banana split)! Can you see where this is going? I made half of the torte in a 8×8 pan and the rest in my mini pie plates, because I didn’t want to lug the half eaten pan back home. I used a chocolate fudge and grated part of a cocoa bar on top. I’ve actually made this recipe in a cupcake pan, with the liners, for a bridal and a baby shower. The bottom is nice and crisp, like a cookie. Each layer compliments the next without overpowering the whole thing. See the layers? The other thing that I love about this dessert is that you have most of the ingredients in the house. Or is it just me that keeps cream cheese around like butter? Maybe most of the ingredients then, because I always a package of pudding in the pantry and cool whip in the freezer. And if you don’t have the ingredients, you’re not go all over trying to get them. Cream the butter and sugar together. Add the flour and nuts to combine. The cookie crust layer will be crumbly. Press into an ungreased 9×13 pan. Bake in preheated 350 degree oven for 20-30 minutes or until golden brown. Remove from the oven and cool completely. For the first filling, cream the cream cheese with the powdered sugar and add the cool whip. Spread over the cooled curst. Next, combine the pudding and milk and spread over the cream cheese mixture. 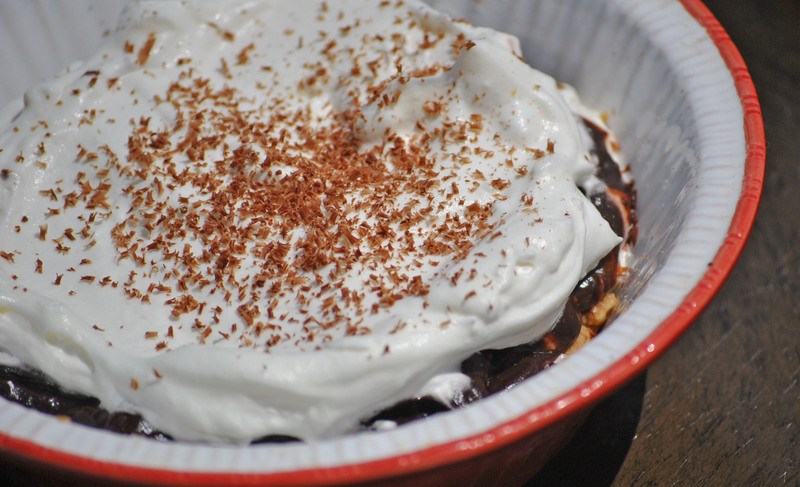 Top with additional cool whip and let set for at least an hour before serving. Right before serving, garnish with nuts, berries, chocolate, bananas, toasted coconut, etc. I went on a date last night. My husband and I went and saw Cheap Trick. Cheap Trick always take me back to the summer vacation when my dad took us camping through the west, Colorado, the Dakotas, Montana and Yellowstone Park. Sitting in the back of the station wagon listening to “I want you to want me”, singing along and asking my dad to turn up the song every time it played on the radio. Ah, to enjoy the songs without understanding the lyrics! This wasn’t the first time I saw them. That was a fest while my husband and I were still dating. The opening band was some funky cover band that played disco. Everyone in my husband’s group of friends was on a disco kick, although it had been dead for over 15 years. The band wore crazy large wigs and we danced so much my legs ached for days. It was kismet to discover that Cheap Trick was one of my husband’s favorite bands. This wasn’t the best time I saw them. That was at the Park West after I had been married for a few years. My husband’s best friend came with and brought a girl that would later become his wife. Dennis DeYoung opened and we laughed so hard because it was just Dennis and his Casio keyboard belting out tunes. I called ahead to reserve a table, and we were close enough to the stage to see Bun E. Carlos enjoy his smokes and hope that one of us would catch one of Rick Nielson’s picks. No such luck, but no matter. I did mention it was the best time I saw them, right? This wasn’t the strangest time I saw them. That was the time they opened for Smashing Pumpkins in a large outdoor venue. They only played about 8 songs and the Billy Corgan and the band got on stage. Have you ever seen the Pumpkins in concert? Billy likes to change it up as much as possible and that night he decided they would perform every song at a different tempo. They would be ¾ finished with each song before we knew what it was. Last night was the closest I’ve ever driven to see them. Our small town has been putting on concerts for the last three summers. This was the first year we’ve gone, in years past it’s been Peter Frampton and Gin Blossoms. To say that last night was hot was an understatement. I danced so much, and it was so humid, that when we left it looked like I had looked like I had showered with my clothes on. It was the first time that I gave my husband candy during the concert because of the heat. Thanks honey for taking me out and letting me dance, as you put it, like a 20 year-old! You are currently browsing the Meeshiesmom's Blog blog archives for August, 2011.